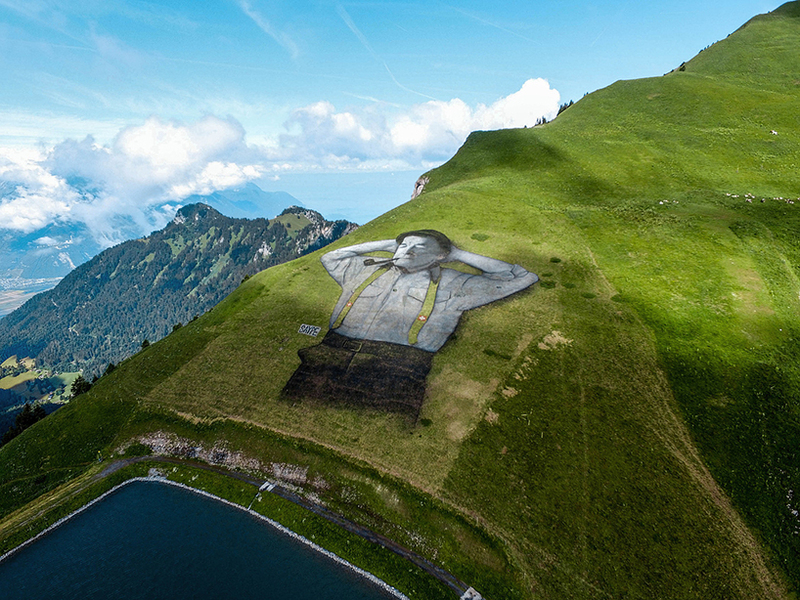 The Swiss street artist known as Saype recently completed this enormous “land work” in the mountains outside of Leysin, Switzerland. 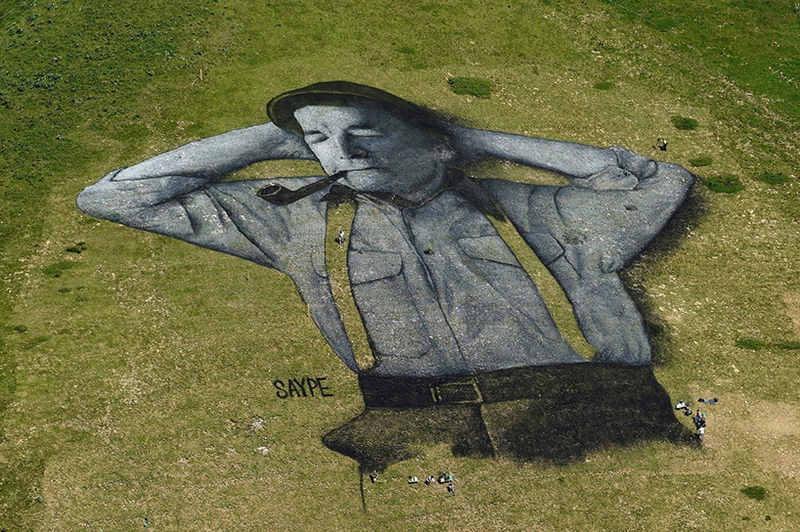 The piece, which is composed of cut and painted grass, depicts a relaxed man stretched out on a mountainside. Who would’t want to change places with this very contented guy for an afternoon. 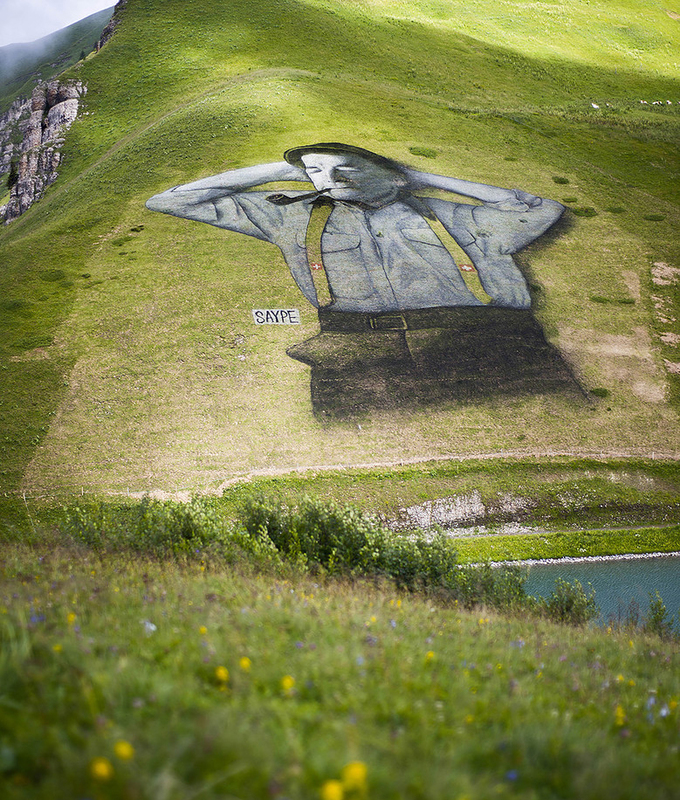 This entry was posted in Art, Europe, Tourism and tagged Leysin, Street Art, Switzerland. Bookmark the permalink. 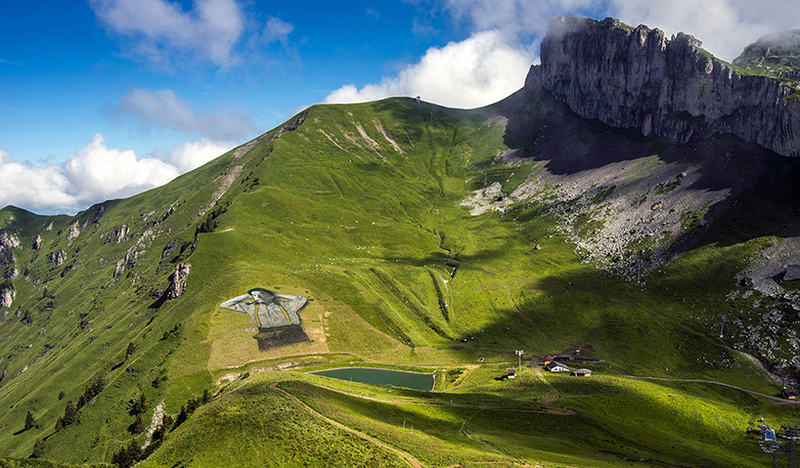 Another thing to love about Switzerland: Art is everywhere. In fact, when something looks a bit out of the ordinary, I often pause and consider that I may have just stumbled across some “art”. No pause needed here!